361 Degrees USA signed Katie Zaferes, one of the world’s premier triathletes and 2016 U.S. Olympian, to a multi-year partnership agreement. Zaferes leads a growing roster of elite athletes who are representing 361 Degrees in the U.S. and around the globe. “Everyone at 361 Degrees is honored that Katie has decided to chase her athletic dreams with our brand. Her hard work, dedication and success exemplify all of the attributes that are important to 361 Degrees and what we are trying to accomplish in the running market. She is undoubtedly one of the premier Olympic athletes in the U.S. and as a partner, 361 Degrees looks forward to supporting her as she pushes beyond expectations,” stated Jim Monahan, president of 361 Degrees USA. Zaferes, a native of Hampstead, MD, is currently ranked number four in the International Triathlon Union (ITU) World Triathlon Series (WTS) standings after a top ten finish at the ITU WTS event in Montreal, Canada on August 5. In 2017, she already has six top-five finishes with a win at the New Plymouth World Cup and a silver medal at the ITU Mixed Relay World Championships in Hamburg, Germany. The former distance runner at Syracuse University burst onto triathlon’s world stage in 2015 with six ITU WTS podium finishes and a fifth place in the overall world rankings. 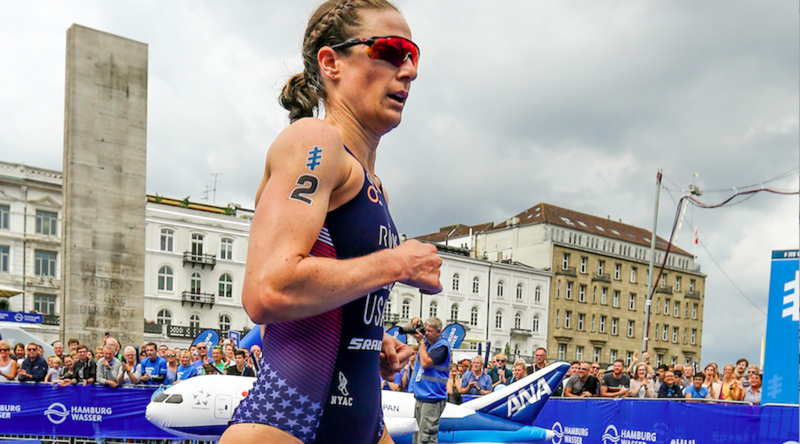 Last year, Zaferes finished fourth in the ITU WTS standings, which included a win at the prestigious ITU WTS event in Hamburg, a runner-up finish at the Escape From Alcatraz Triathlon, and an 18th place finish at the Rio Olympic Games. “I had been trying out quite a few different brands when 361 Degrees shoes were recommended to me by a friend and owner of a triathlon shop in Maryland. Initially, I was drawn to the design of the 361 Degrees shoes and then when I tried a pair I felt so confident and comfortable in them. I could tell when I first started running in 361 Degrees shoes that they are dependable, and then when I raced in them I found out they’re also fast shoes! I’ve had some of my fastest run splits in the 361-KGM2 2,” said Zaferes. Zaferes currently trains in the 361-Spire 2 and 361-Shield 2 and races in the 361-KGM2 2, which are all available at running specialty retailers across the country or online at 361USA.com.